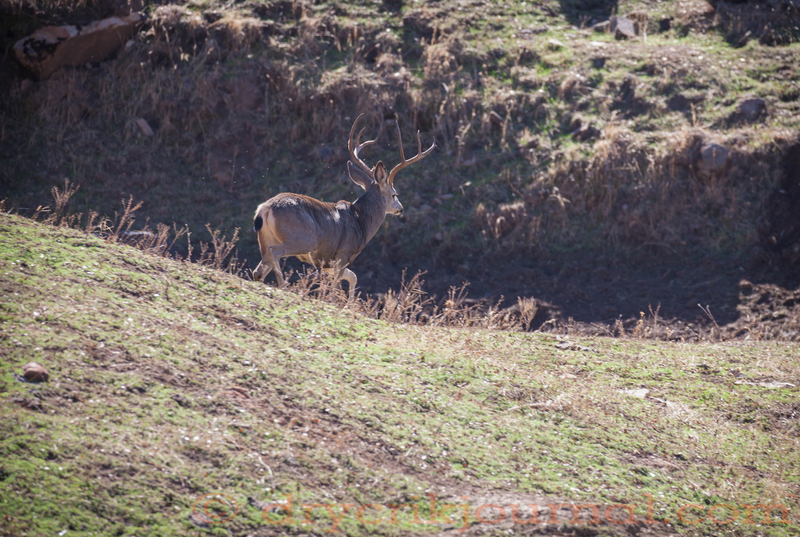 This entry was posted in Haiku 2015, Photographs, Ranch Journal and tagged age, Blacktail Buck, hunting, photography. Bookmark the permalink. What was a trophy is now the trophy . . .
You have some pretty healthy looking animals there inspite of the drought.